With the R4 3DS everything is possible. 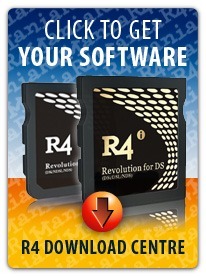 All of those features you wanted on your Nintendo 3DS system will now come to life with the R4 3DS card. Whether you want to play thousands of free games and homebrew or want to chill out watching your favorite movies or TV shows on your 3DS - you can! Your MP3 music will have a new home too. You'll be able to take your entire mp3 collection with you on the go. The R4 will turn your Nintendo 3DS into one of the very best portable music players on the market today. Listen to your songs anywhere you want to. With this card you'll be able to do anything. Update As Of December 6, 2018 Our official R4 3DS Cards support the latest 1.45 Nintendo DSi / DSi XL and the new v11.9.0 Nintendo 3DS / Nintendo 3DS XL And Nintendo 2DS system updates! Don't get suckered in by clones that won't work! 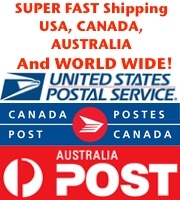 Our cards are guaranteed to keep on playing! NTRBoot compatible. Your Nintendo 3DS already plays some of the best games out there today. Why not add a whole world of homebrew games too. Play classic games from the game systems of yesterday with the freeware emulators that you can load to play NES games. Or get down with some Super NES and Neo Geo games. With over 15 different emulators, all of your classic games and classic systems will come to life on your 3DS. And when you're done playing those great retro games, you can kick back with the movies you've copied over to our card, and use your Nintendo 3DS as your own personal movie player. Book lovers will love the r4 too. Use any of the ebook reader apps, all free, to read the latest eBooks in all popular formats like ePub, TXT, PDF and morel Just imagine sitting back and getting a few chapters in right from your handheld game system. Freeware games? You bet. 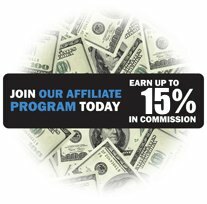 There are hundreds and hundreds of free games and applications that you can instantly download and play on your R4 3DS. Indie developers release free games almost every single day. All you have to do is download them, copy them to your R4 and start playing. Whether its remakes of old DOS games like Quake and Doom or the latest games like Scribble Jump, there's something for everyone. Full MultiMedia player capabilities built right in for the ultimate in portable multimedia entertainment. Upgradeable firmware - Always get support - FREE FOR LIFE! Play thousands of free homebrew and freeware games and applications. DLDI Auto-Patching - Play all of your favorite homebrew games and applications! Question: How big of capacity of micro sd card can this support?? Sounds cool. Can you can load multiple roms of games and apprpriate emulator (even if non ds) to a single card and play them on the 3ds xl? ANSWER: You would need the new R4 3DS as the old cards were not designed to work on the 2DS and 3DS Systems (They were not yet even available) It can hold as many games as your microSD Card will allow as well. I've been told that the 3DS can actually brick if you accidentally turn on the Wi-Fi while the R4 is in, is this true? Or can you use Wi-Fi with the new R4's? This is like having about 10 - 15 different game systems all-in-one! Woo Hoo HOO HOOO is all I can say guys. I've been playing some NES, some GBC and some TG16 games all weekend since I got this! Amazing Amazing.. did I mention Amazing? I used to play emulators on my Phone, but what a pain without the controller. The 3DS is the perfect match for all of the classic systems I love! I had one of these cards before, but it was obviously a clone product, as it never received an update past the 6.0 3DS, so it because a light weight paper weight for me. Countless emails to the so called manufacturers were sent, and they simply kept telling me to buy their newest card. That's when I found this site, and ordered this R4 3DS, and it has been working great since day one. My 3DS is now at the 7.1.0 update (I got this r4 3ds when my 3DS was 6.0) and they keep making new firmware to keep my 3DS running as smooth as can be with my r4 3ds. Q: Is it ready to go? Can I just put it in my 3ds and it'll work? A: It is, yes, if you order a micro SD card bundle. does this work for regular 3ds? 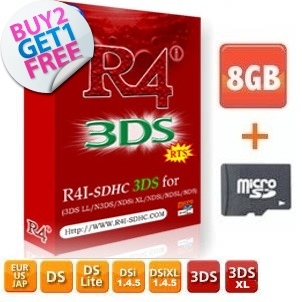 Click the button below to add the R4 3DS and 8GB Micro SD to your wish list.